Posted November 23rd, 2012 by William Johnston. I primarily work with Drupal sites, but I have also worked with WordPress, and have played with Joomla and a few other CMS systems. I have also built webapps from scratch. Below is a showcase of some of my sites. 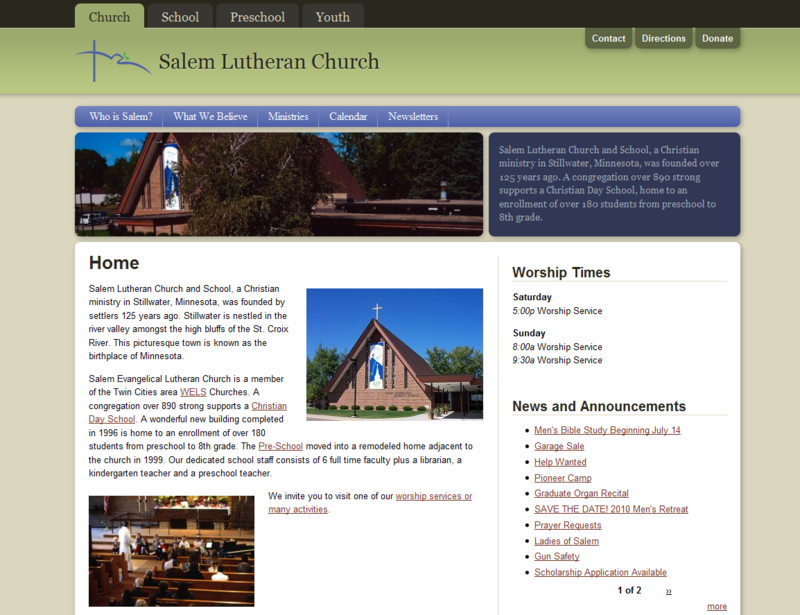 This installation uses the multisite capability of Drupal to handle separate sites for the church and school. A combination of Drupal and CiviCRM is also used for online signup for events. This Drupal website is the most complex I have worked on so far. If not logged in, it provides information for people interested in joining. 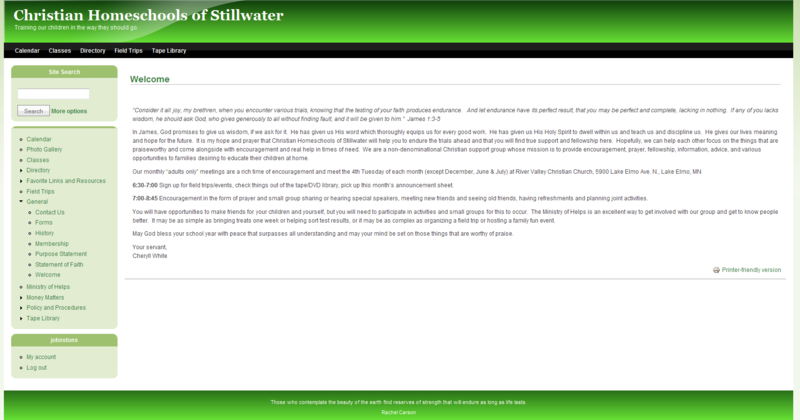 Once logged in, It also contains a calendar, list of classes and field trips, directory, and online library. The faceted search module is used for classes and online library. I tried to create a calendar that would work on everything from a massive screen to a mobile device. I did this using media queries. The same tech is used on this website to make it viewable on a wide range of displays. I had previously blogged about the demo in more detail.